We usually offer geisha entertainment in Kyoto, but if you will not be coming to Kyoto on your trip, we can arrange geisha entertainment in Tokyo for prices similar to those in Kyoto. Please email us for details. 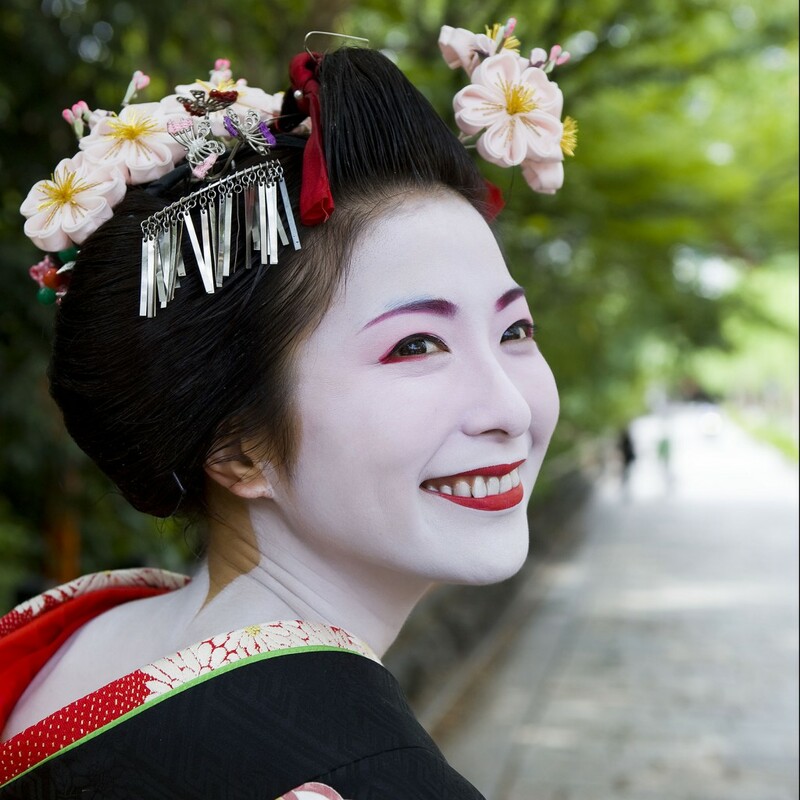 Kyoto’s geiko and maiko (Kyoto words for geisha and apprentice geisha, respectively) are a window into Japan’s traditional culture. 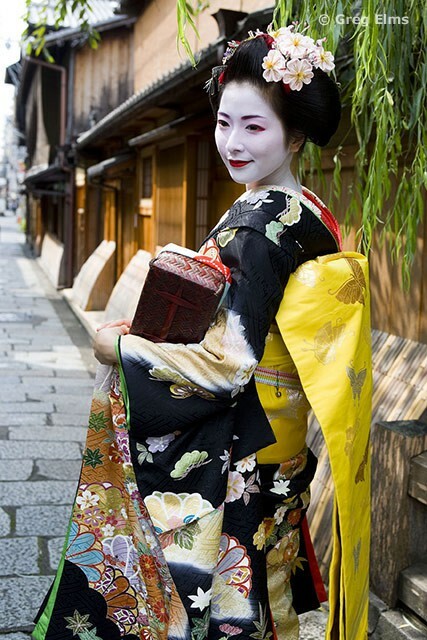 I have good connections with several geisha houses and I can arrange geisha entertainment and geisha district tours, as well as geisha photo shoots and other geisha events and services. The easiest way to experience geisha entertainment is for us to arrange a meal for you at an exclusive kaiseki (Japanese haute cuisine) restaurant in the company of a geiko or maiko. We will make all the arrangements and supply an interpreter so that you can communicate freely. Note that this is the best way to really experience the world of Kyoto’s geisha. Some companies offer a quick drink and a snack for prices only slightly cheaper than this, while others offer meals in large rooms with a few dozen strangers (which limits you to a quick hello with the geisha). With us, you’ll really be able to interact with the geisha, play traditional drinking games, and pose for pictures with them, all while enjoying a fantastic traditional meal in refined surroundings. A three-hour dinner with a maiko (apprentice geisha) will cost JP¥70,000 for the geisha fee, an interpreter, and our arrangement fee. It will cost JP¥110,000 if you add one more maiko or geiko. This is the fee for a group of up to five people (this is not the per-person fee). In addition to this, each person’s dinner course will cost between JP¥15,000 and JP¥20,000 per person, plus drinks. We also ask that you cover the dinner of the interpreter, who will have whatever dinner course you choose. Kindly note that we ask our clients to pay JP¥70,000 (or JP¥110,000) in advance as deposit by credit card (online) for this arrangement. For larger groups, we can arrange additional maiko or geiko. We can also arrange to have a jikata (shamisen player) present so the maiko or geiko can perform traditional Japanese dance. If you have a company tour or meeting in Japan, this is the sure way to give you group the memory of a lifetime!